Interactive video is one of the new features in CP2019 (version 11). Over 10 years ago I did choose for Captivate because it had a lot of possibilities for interactivity in any cptx-project, Some users do think that 'interactive video' is the way to go, but to me it is a nice addition especially to make existing passive video a little bit more engaging. To avoid confusion, because already did see a lot of theoretical posts here that talk about normal interactive projects, not about interactive videos, I will continue to point at published cptx- projects as ‘interactive movies’ to show the difference with less interactive 'interactive video'. A standalone interactive video can be nice. However I honestly believe that the combination of interactive video slides with static interactive slides in a cptx project is more powerful. Later on I will try to show with use cases what I mean. These tips are for 'interactive video' only. Bookmarks: which out of the box can be used with the new command ‘Jump to bookmark’ to realize some branching often based on answer to knowledge check slides. Overlay content slides: which appear at certain frames of the video on top of the video (can take up part of the screen, with in a dimmed version of the video in the background). Most Captivate features can be used on those content slides, including advanced/shared actions. Overlay Knowledge Check slides: which are based on the quizzing master slides. Their appearance is the same as for the content overlay slides. Scored quiz slides are not possible.Contrary to the overlay Quiz slides in a 360 slide, these Knowledge Check slide do honor the used theme, their style can be full controlled. However, you cannot use scored Quiz slides in overlay (which is possible in a 360 slide). I will post lin the future a full description of the timeline of interactive video slides, and line up the differences with a normal video. An interactive video is always a slide (synchronized) video, never an event video. Consequence: interactive video is not possible in a fluid box which can only support event video, nor in the state of a multistate object. In this blog post, I’ll offer some tips for using and enhancing the present functionality of interactive video. I posted an interactive video, as illustration in this article . Explanation of the tips is based on that example, I recommend to watch it if you didn't had time yet. OverlayTip: has a bubble shape, semi-transparent as background; the white space surrounding the shape will be ignored in the overlay and show the dimmed video. OverlayWarn: has a different shape, less transparent and also white surrounding space. The Quiz master slide which I used is a duplicate of the MCQ... master slide. It is necessary to use such a duplicate because you need all the embedded objects with their functionality. I used a rectangular shape as background, not transparent. 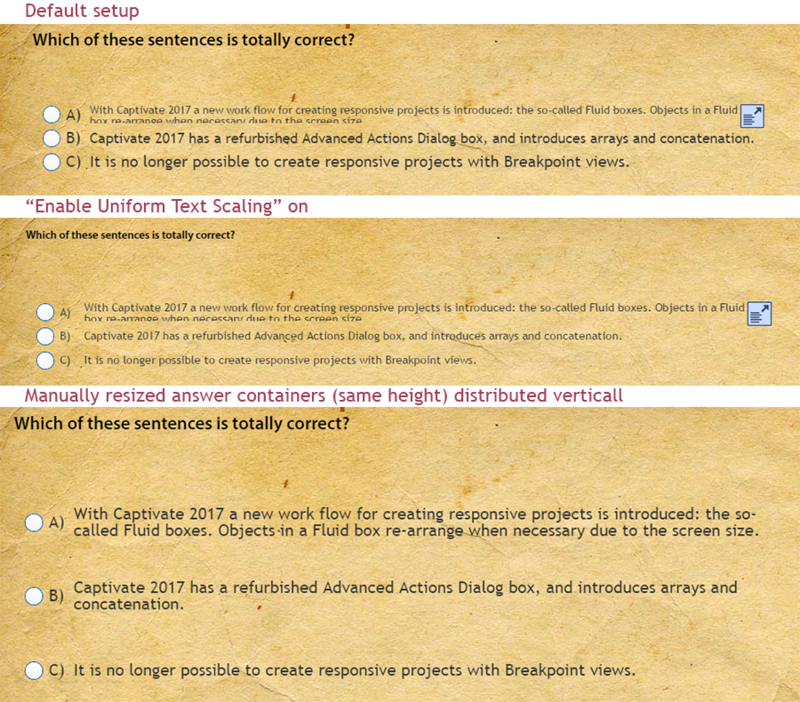 use a non-responsive theme, because the Quizzing master slides in a Fluid Boxes theme have a setup with fluid boxes. when creating a slides based on this master slide, you need to choose Knowledge Check slides, because normal Quiz slides cannot be used as Overlay slides for an interactive video. To me Interactivity means to offer as much control as possible to the learner. Some need more time, some want to proceed quicker. That is why I don’t like the fixed duration for Overlay content slides - which is the default setting. No problem for the Knowledge Check slides, the Submit button (with a pausing point at 1,5secs) takes care of keeping the slide available as long as wanted. Same would be the case for a slide with a D&D interaction or when using an interactive learning interaction. For shape buttons on a master slide, the pausing point visible at the end of the Timeline is just an indicator. It will not appear in the Timing Properties because smart master objects have no timing. However, in the default setup, the shape button will pause at the end of each slide, hence the indicator. Look under the Actions tab for the shape button on the master slide. The action triggered by the Success event of that button is very simple: ‘Continue‘, to release the paused playhead. Since the pausing point is at the end of each overlay content slide, it will close immediately and the video continues. That button is available for the full duration of the project, from the second (video) slide on. . I described the workflow in an older post, which dates from CP2017: Interactive Video Buttons but is still valid for the present version. It is a simple click/reveal button, which pauses the video and has a close button. That close button takes care of hiding the information and releasing the video playhead. With the Menu button the learner has a TOC to bookmarks available, to review only parts of the video. I described my workflow in this post. 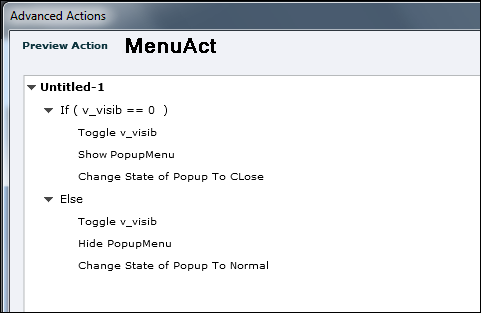 The menu items are hyperlinks triggering advanced actions, which jump to the wanted bookmark and close the menu. As mentioned in the past, for some weird reason the option 'Execute Shared Action' is not available for hyperlinks, or I would have used a Shared action instead of duplicate Advanced actions. It is not possible to insert Fluid boxes on the main master slide: the button seems active but both options (Vertical and Horizontal) are dimmed. Objects placed on that Main master slide, and inherited by the daughter master slides, are to be set up using the Position Properties panel. Example: the text container with my name and copyright in the example movie. However after some more testing on iOS devices, the Position properties set up for those objects are not correctly displayed in portrait mode. TIP: at this moment avoid putting objects on the Main master slide, since they don't display at the correct location on some mobile devices. 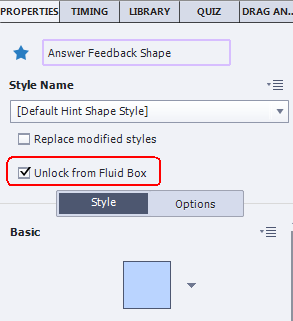 As you probably know, it is not possible to have shape buttons timed for the rest of the project when you use Fluid boxes. You could put a shape button on the main or one of the other master slides but you cannot control it because it has no ID. In the example movie I preferred to have a Next button on the individual slides, because ton most slides it is hidden until the learner has visited everything. However a toggle shape button for Audio, for CC, for the TOC could be on the Main Master slide. They will not behave like objects in a Fluid box however, but act as defined on the Position Properties panel for size and location. This master slide has no Fluid boxes by default but you could add them. As I have explained in previous articles, you should prefer to duplicate the master slide for editing, don't edit the original slide because it is used for Powerpoint import and for software simulations. That master slide has one Fluid box (parent fluid box) but no child fluid boxes. It is set up as 'Squeeze in a Column', and vertically and horizontally centered. Because the title placeholder is inserted directly in that parent fluid box, you are not able to insert child fluid boxes. 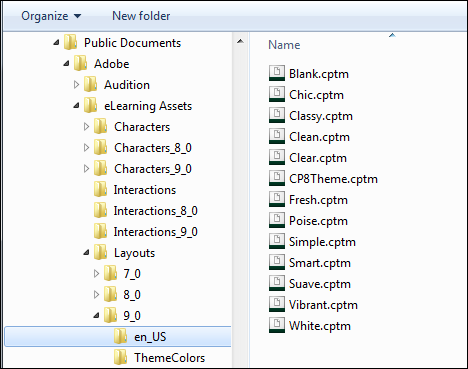 Because each new project, using the default theme White will start automatically with a Title slide, this has caused already many frustrations when starting with the use of Fluid boxes. If you want to use fluid boxes on the first slide, you have to change the master slide from Title to Blank (exception Blank theme which starts with a Blank slide). ﻿TIP﻿: if you want to add objects on the Title master slide, first take out the Title Placeholder, to be able to insert child fluid boxes. Then put back the Title Placeholder in one of the child fluid boxes. 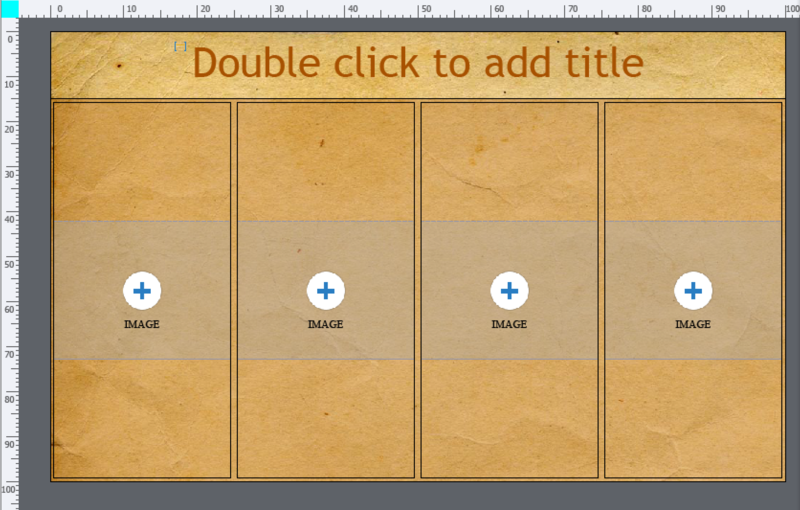 It can be a time saver to use a content slide that has already Fluid boxes. In a future next article I'll explain how to create a custom content master slide with the help of Guides, but for now let us focus on an existing master slide, and see how we can tweak it. The bottom Fluid Box has 4 child FB's, (FB_19,FB_20, FB_21, FB_22), which are set up to wrap Symmetrically (when width is too small, two FB's will move to the next row), and have a padding both vertically and horizontally to have some spacing between the FB's. Each of them has a placeholder for an image. Play with this responsive movie (will open in a new window) which has only 3 slides: Title slide (with inserted Next button, and taking over my name from the main master slide), a slide based on Content04 master slide, with a lot of tweaking, and an End slide. The Next button on the second slide will only appear when you have clicked all available shape buttons and seen all the content. As you can see on the screenshot, the top FB will have the button and explanation text (originally hidden, but cannot be grouped in FB's), the bottom one has an example of the style (also initially hidden). 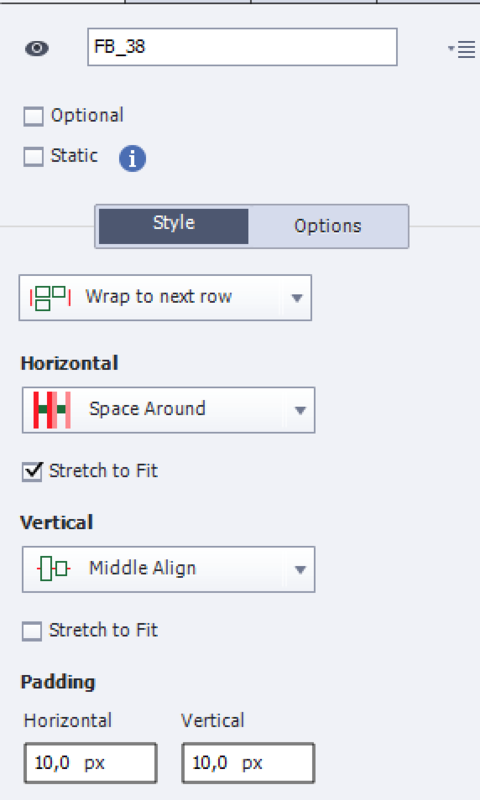 Setup for the top FB's here is visible in this screenshot; for the Shape button ('Normal') the option Maintain Aspect Ratio is kept, but not for the Text container, so that it can change for smaller screen sizes (especially in portrait mode). You will have seen that I always had Rulers and Guides activated. My next blog post will focus on the use of that great tool, which almost no one seems to use? Sure, I have several advanced actions in that movie, but that was not the goal of this post. No explanations here about those actions. When publishing my first reflections on Fluid Boxes work flow versus Breakpoint View work flow I didn't mention my expectations for a smoother creation of Quiz slides using FB's. In my experience with responsive projects in previous versions, the most frustrating part were those (damned?) quiz slides. You are probably aware of the very strict rules to honor for quiz slides: need to be careful with 'embedded' objects which include functionality that can be broken. Styling quiz/score slides is tough even in normal (blank) projects and turns into a nightmare when having to do it for up to 5 breakpoint views. Every post I published about quizzes gets a lot of visitors. Many questions about quizzes are posted on the forums as well. This explains why I listed Quizzes as second most important stumbling block for Captivate users in this article. All quiz slides, and the score slide, are based on a dedicated Master slide. Master slides have embedded objects (no individual timeline): Title, Question, Answer Area with Answers, buttons, feedback messages, progress indicator to mention some. The functionality of the quiz is embedded in those master slides (two-step Submit process, updating quizzing system variables, tracking attempts on question/quiz level, review and retake on score slide, etc). 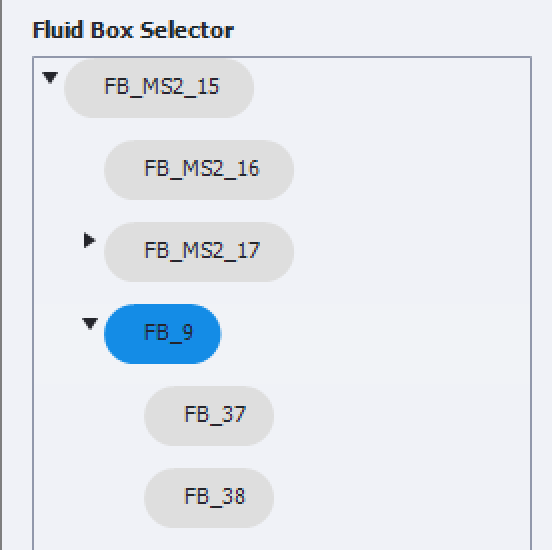 if you choose the Fluid Box work flow for a responsive project in Captivate 2017, the included themes will also have Fluid boxes on the quizzing master slides. There is one exception: the Likert master slide has no Fluid Boxes because Likert questions are not supported for responsive projects. Each theme needs to have at least a main master slide and 6 daughter master slides. Besides the Blank master slide which is essential for Software simulations and PPT-import, the other 5 daughter master slides are all about quizzes: MCQ,T/F,FIB,Sequence; Matching; Hotspot; (Likert = not supported in responsive); Result. The Setup for the quizzing master slides is common for all included Themes. I will explain extensively the most used master slide (MCQ, T/F...) and summarize only the differences for the other quizzing master slides. The score slide, which causes a lot of issues at this moment, will be explained in a future blog post, hoping that some of the problems will already have dissipated by a patch? This is the most used master slide for sure. You have the Root fluid box (ID/ FB_8) containing 6 child Fluid Boxes. 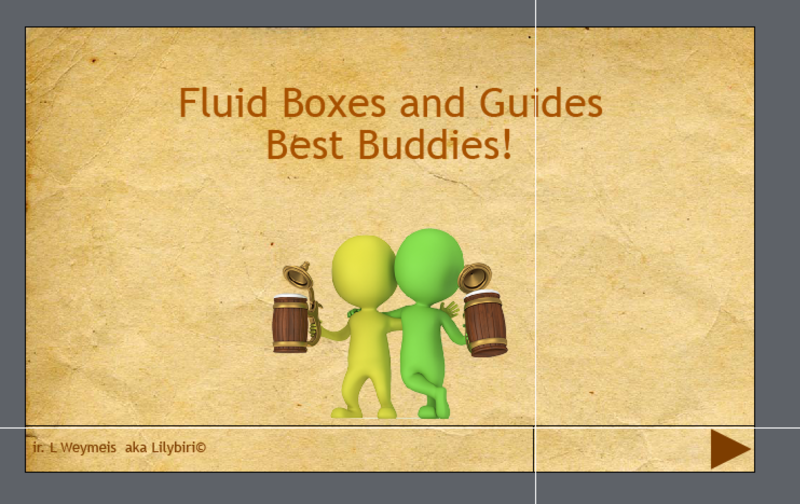 The ID's I mention for the Fluid boxes are from the master slides. Apparently the ID has to be unique as usual. When a quiz slide is created based on a master slide the ID will change: 3 characters will be inserted, referencing to the slide number. Example: FB_MS5_10 is the fluid box for a question based on the MCQ master slide, originally on slide 5. Beware: that ID will not change when you reorder the slides, which can make it quite confusing if you are used to reorder a lot. The Root fluid box (ID/ FB_8) is set up this way. Wrap: Squeeze in a column , which means the child fluid boxes will never be rearranged. the 80% has no consequences, because stretch to fit is activated. Padding: none, which means theoretically the title could touch the left and right side of the fluid box/slide. 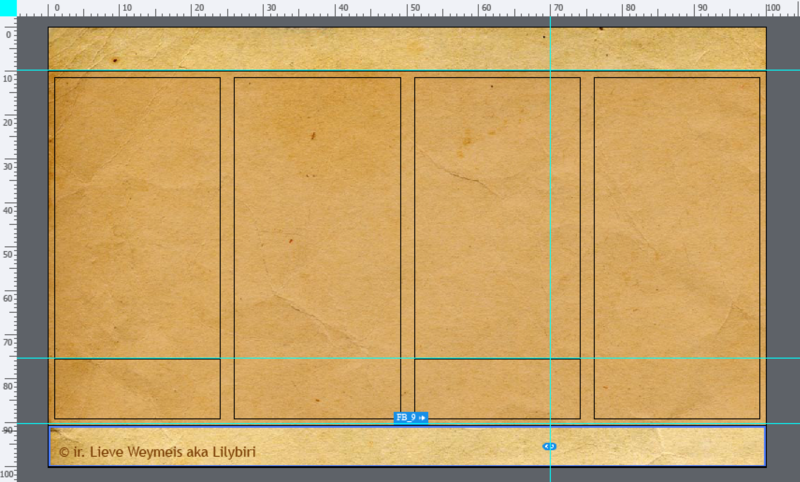 Personally I avoid that by adding a small horizontal padding (5-10px). Tip: in theme 'Clear' the title overlaps with a design element. You can change the Vertical alignment to Bottom, and eventually increase the height of this first child fluid box to fix that. 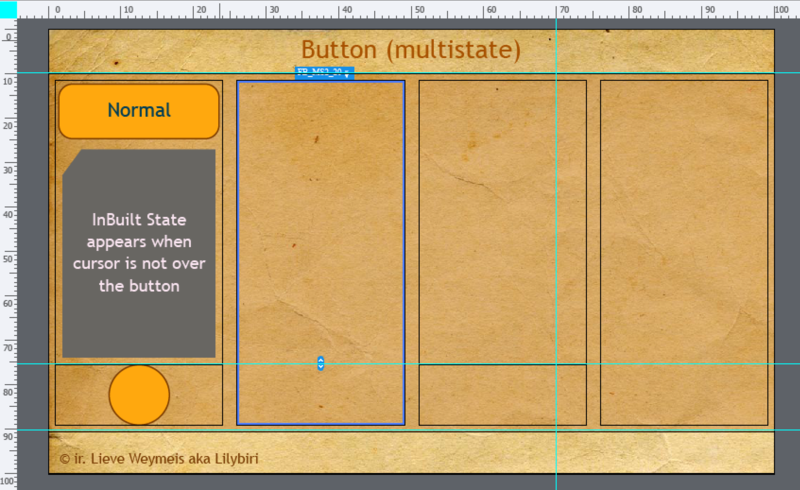 Another solution is to turn off that design element by unchecking the option 'Show Main Master Slide Objects. Later on you'll see that the Advanced answers feedback messages will cover up this FB. Be careful when resizing and moving those messages. You could mess up the arrangement of this Title fluid box. Best way is to unlink those messages from the FB before touching them. Vertical Alignment: Middle Align with 'Stretch to fit' activated; for the inserted text placeholder text is aligned at the top; you could eventually change that to middle as well if you don't have long questions. 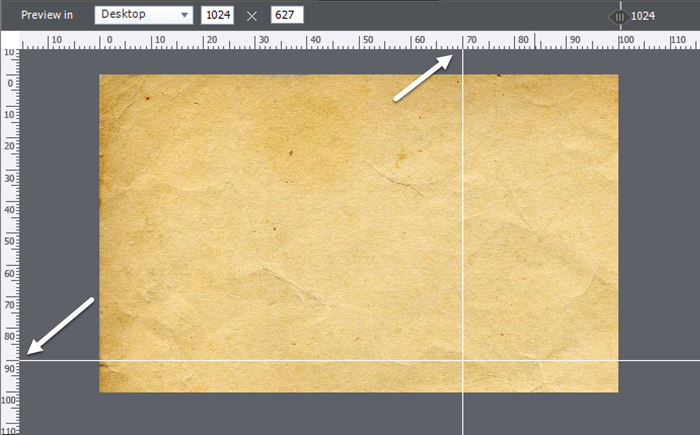 Padding: 50px horizontal (text placeholder is indented from left and right side of the slide/fluid box). If the focus is on smartphones, this padding could be too big (lot of smartphones have only a width of 320px). Padding: 50px horizontal (placeholder is indented from left and right side of the slide/fluid box); 20px vertical, the inserted answer area doesn't touch the top and bottom of the Fluid box. Comment about this being maybe too much for small screens is valid here as well. 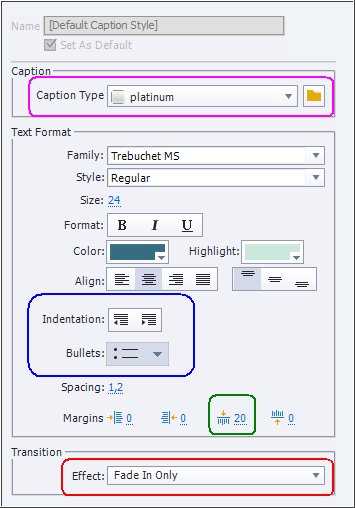 If you don't mind the font size to be decrease but want the same font size for all the answers on a slide, check the option 'Enable Uniform Text Scaling' in the Properties panel for the slide. Eventually you can decrease the mininum font size which is set pretty high in 2017 (14p, minimum was 10p in previous versions). If you don't want to have the font decreased, but prefer text wrapping, you have to resize the individual answer containers on the side (not possible on the master slide). 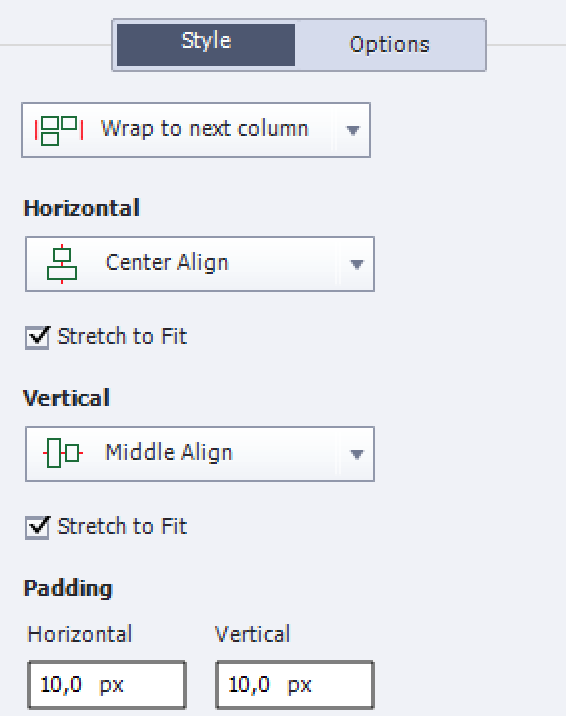 Start by increasing the container height for the longest answer, use the Align menu ro resize all to the same height, move them as far away from each other and Distribute vertically. Eventually you can decrease the vertical padding to have more space, and/or make this Fluid Box higher, which will decrease the height of the other boxes. This work flow is certainly necessary if you allow shuffling of the answers. Whenever the answer cannot fit in the container anymore the usual icon 'read more' will appear. In this image you'll see the result: Default setup on top, in the middle the result when 'Enable Uniform Text Scaling' is activated and at the bottom the same answers after manually resizing, moving and distributing vertically. If your goal is a good experience on smartphones, I would recommend to reduce the padding in this Fluid box: 2x50px horizontally is a lot if the browser has only 320px in the width. Since the Feedback messages are all in the same location, this had to be a Fluid Box of the Static type to allow overlapping objects. Issues: The usual problem for editing those messages remains: to edit a message you have to get all other messages out of the way, since they are embedded (they don't have a separate timeline). which means you cannot hide them on the stage If the messages are the same on all quiz slides, you can edit them - before inserting quiz slides - in Preferences, Quiz, Default Labels (same for the button labels). Edit the top most message in place (mostly Correct); since most of the messages are in a (semi) transparent shape/caption, increase the Alpha to cover up the other messages for editing. When finished, use 'Reset Master Slide' to move all the messages back in their Fluid Box (FB_12). 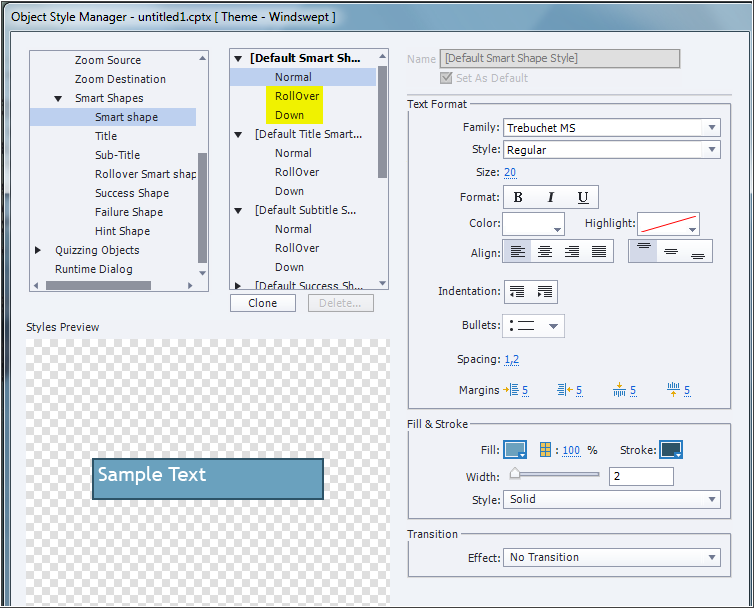 Since the object styles will be reset as well, the Alpha of the shapes/captions will be reset to the initial value. Beware: be careful not to override object styles in this case (indicated by + sign next to style name). Here is some good news: if you choose multiple Failure messages (up to 3 still) because you have multiple attempts, those extra Failure messages (#2 and #3) will appear over the Answer FB. Contrary to messages moved over that box, these can be selected and edited easily. When previewing/publishing the slides all Failure messages will appear in the same location although being in different locations on the stage. 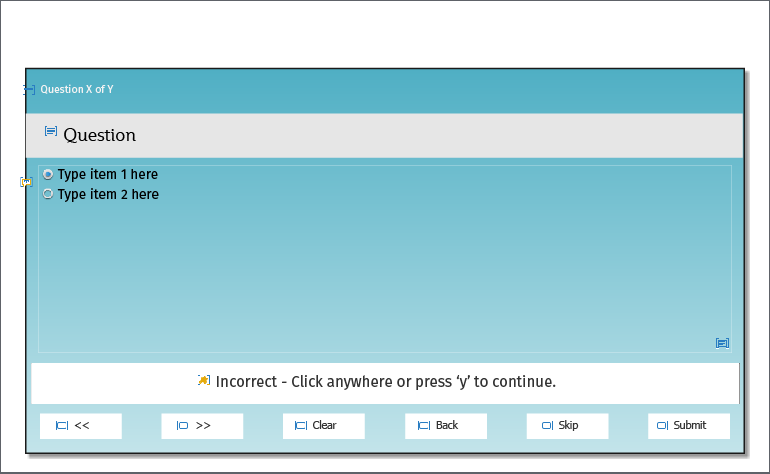 When using Advanced Answer options for MCQ, one correct answer, to show feedback messages for each answer, another problem appears.The text captions for the feedback are very small, and in the top right corner (over the Title Fluid Box), slightly off stage. Depending on the number of answers, some will appear lower, over the Answer Fluid Box. Wrap: Symmetrical, which is almost the same as One Row. Only when the number of buttons is even, will you have a rearrangement in two rows. The maximum amount of buttons is 6: two Review navigation buttons, Clear, Back, Skip and Submit. If you are used never to insert Back and Skip buttons (which is my normal setup) you can better increase the font size (now 20px) to 28px or even 30px. If the option 'Enable Uniform Text Scaling' enabled, the label will rescale nicely and especially the small symbols << and << on the Review navigation buttons will be readable even on small screens. 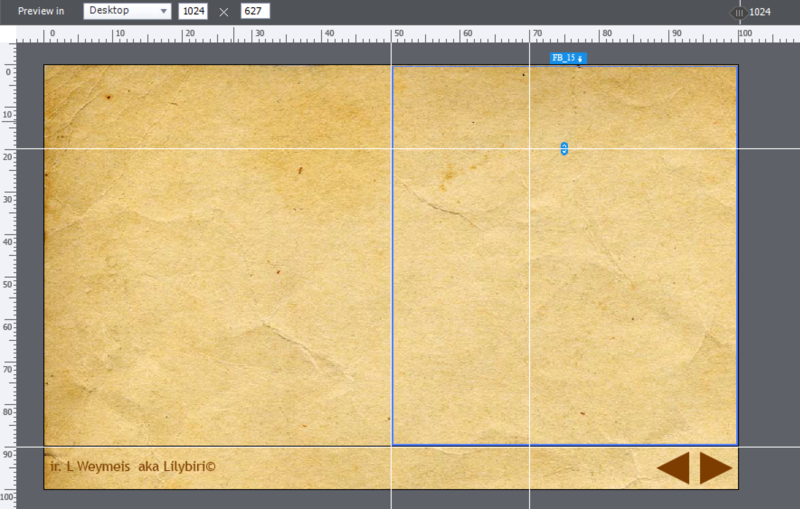 The buttons don't have the option 'Maintain aspect ratio' enabled, which means that the width only will be resized. Wrap: Wrap to next row. This fluid box has only one text caption with the progress indicator, in font size 12p which is smaller than the minimum font size. The text will never rescale even if 'Enable Uniform Text Scaling' is activated. Wrap: Squeeze in a row. I would recommend to activate the option 'Enable Uniform Text Scaling' for question slides in most circumstances. Since this option is at slide level, it will be valid for all Fluid boxes on the slide. 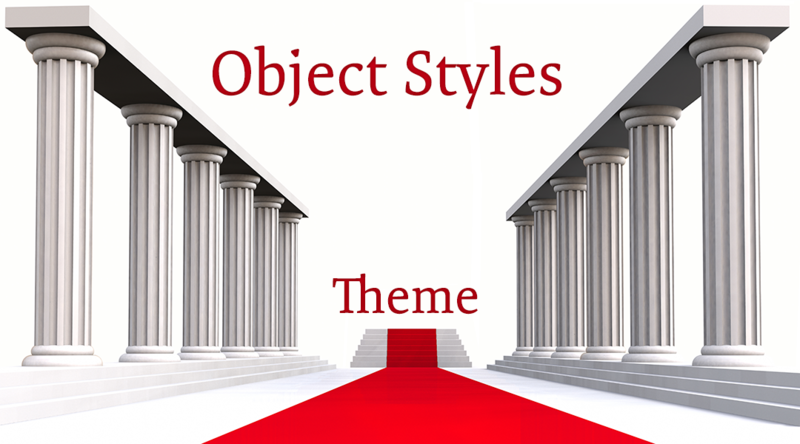 Avoid to override object styles, that is a general rule but even more necessary for quiz slides. 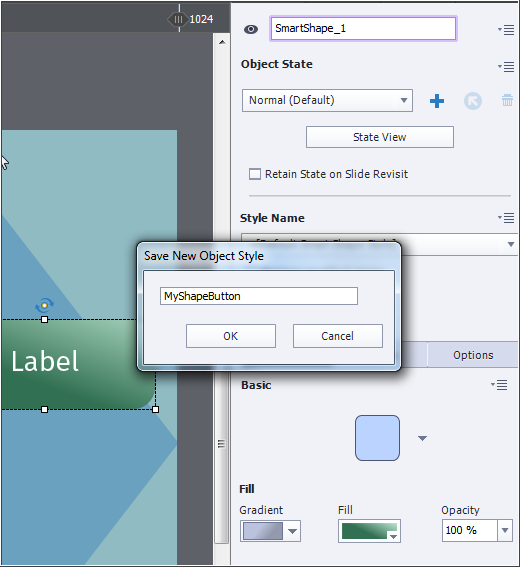 It will happen that you want to reset the Master slide and in that case all styles will be reset to the Default style. 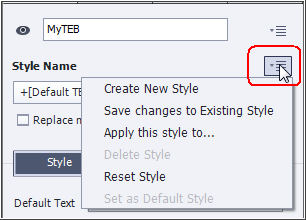 If you want to change a style, do not hesitate to save the edits to those default styles. Preview is never WYSIWYG certainly not when you are using the slider during preview to see the changes for other screen resolutions. Example: it often happens during Preview that the text in long answers (even when manually resized and redistributed) seem to be cut off for small screens; when published all looks mostly a lot better. Do you use the Progress Indicator for Quizzes? I'm very frustrated about that indicator: you have the choice between a Relative or an Absolute indicator, you can adjust the style using the Object Style Manager, but... no way to change the phrasing of that indicator. It is always 'Question X of Y'. If you are an unhappy Captivate-user that needs to localize a lot of courses, this is really annoying. My Dutch-speaking students want a Dutch indicator, my French students want a French indicator etc. Play this movie to check the result. In this Quiz I do have 6 question slides. 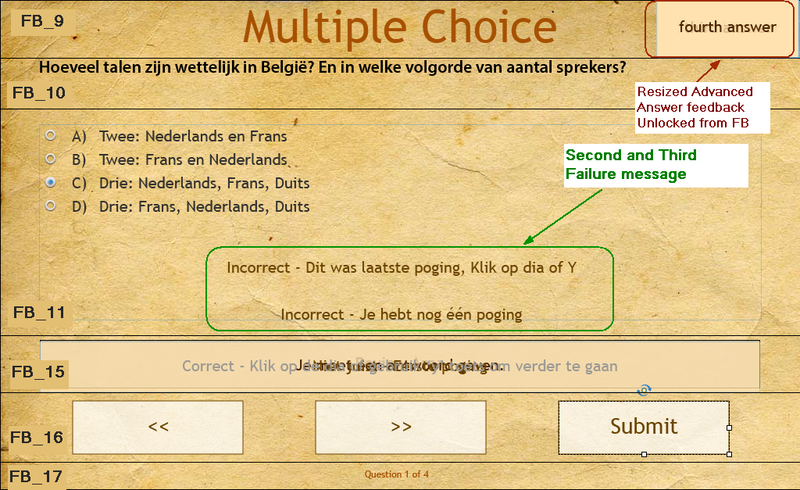 The first 3 questions use a master slide with a progress indicator in English, the last 3 use a similar master slide but with an indicator in Dutch. Do not panic: all questions are in English. IndBegin: to be triggered on entering the last normal slide before the first question. It has only one real statement: to store the current slide number (system variable rdinfoCurrentSlide) in the user variable v_begin. First image in the Gallery shows this action. IndCurrent; to be triggered on entering each question slide, it calculates the question number and stores it in the variable v_current. I do use the system variable rdinfoCurrentSlide again combined with the fixed number stored in v_begin. Second image in the Gallery shows this action. cpQuizInfoPointsPerQuestionSlice this is a bonus, not necessary but extra information for the learner, a Quizzing system variable as well. 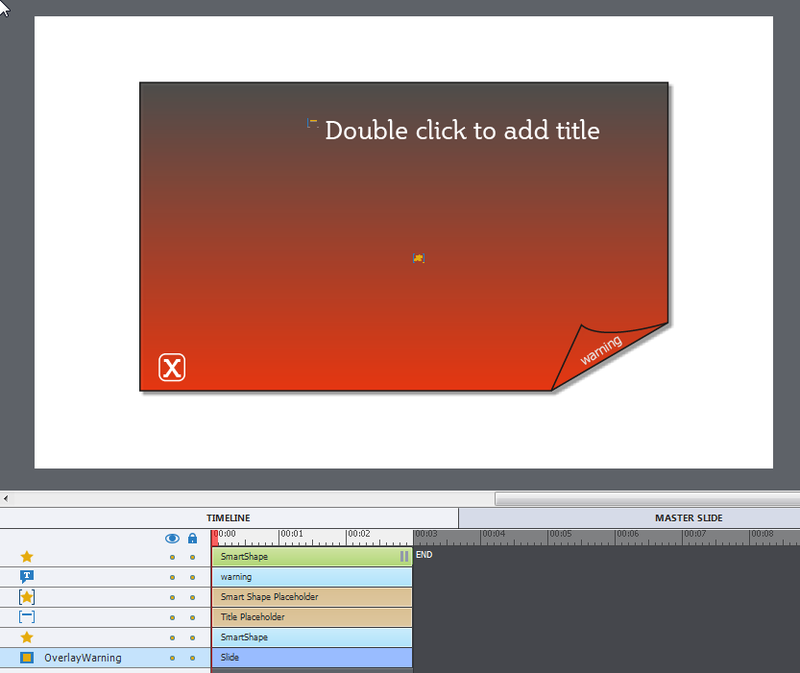 Hope you liked this small tip, and will be inspired to use variables on master slides. 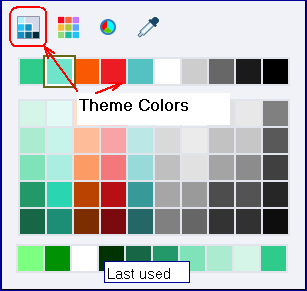 ﻿The button widget is no longer available in later versions of Captivate, but can be replaced almost in all use cases described in this article by a shape button. 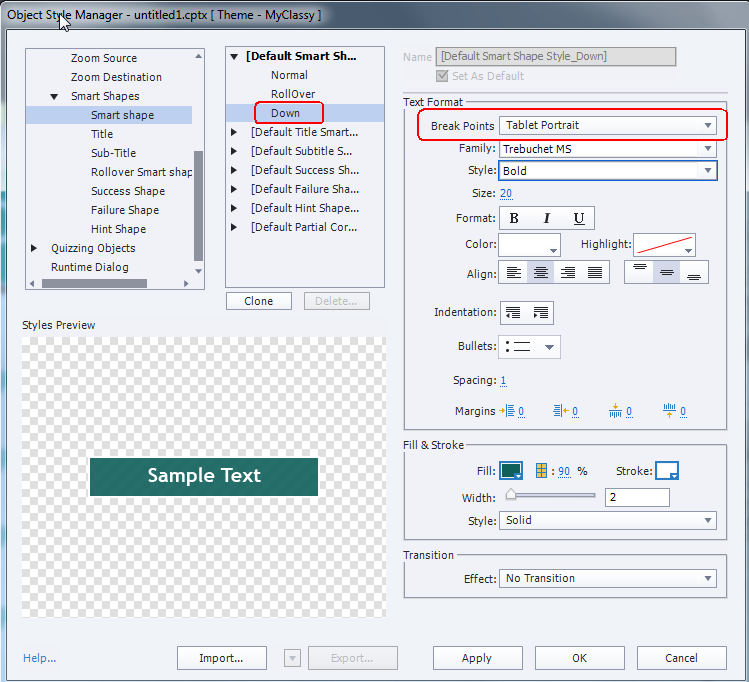 There are quite a lot of configuration possibilities as you can see in the second image of the Gallery that shows the settings of the buttons I used for the example of the Menu on the master slides. It is pretty straightforward to use, I only lost some time finding out how to put in more than 4 characters on the button. You have to click in the Preview space on the button and you'll see the text box appearing (is visible on the screenshot). 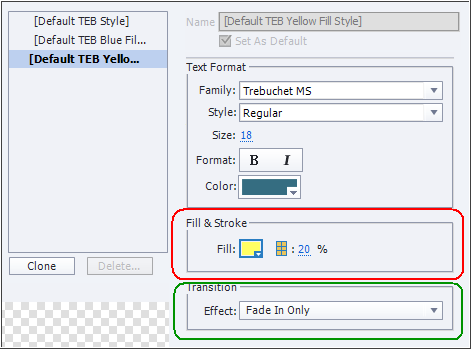 There are a lot of small arrows of all kinds that allow you to move the text box, to increase its size and even to increase the size of the text itself. In the list of actions that can be performed you'll find navigation, open File/URL and send email (here I used Jump to slide). Lot of users get frustrated because it is not possible to insert any interactive object on a question slide or on the score slide. If the action you want to trigger by this object is a navigation action, or opening a URL/file, or sending an e-mail than you can use the same Button-widget as used on the Master slide example. In the example that you can watch here, I used the button widget on a Knockout Master slide (see blog post Create and Use a Knockout Master slide) to create a menu. I do have 2 very similar master slides, the first is used for the introduction slide, the second has also a button (same widget) to go back to the first slide and is used for all other slides. I would love to hear how you do use this widget!